Paris, France (May 18, 2016) — Today marks the 38th annual International Museum Day. This year’s theme is “Museums and Cultural Landscapes”, which will be at the heart of the International Council of Museums (ICOM) General Conference, to be held in Milan July 3-9, 2016. This theme implies that museums have a certain responsibility towards the landscapes where they are located, to which they are able to bring their own specific knowledge and skills. The main mission of museums is to oversee the safekeeping and protection of the heritage that lies both within and beyond their walls. ABOVE: For the first time in ICOM history, the President of the organization was invited to celebrate International Museum Day 2016 in Iran, a country that is well known for its secular and rich culture and heritage. 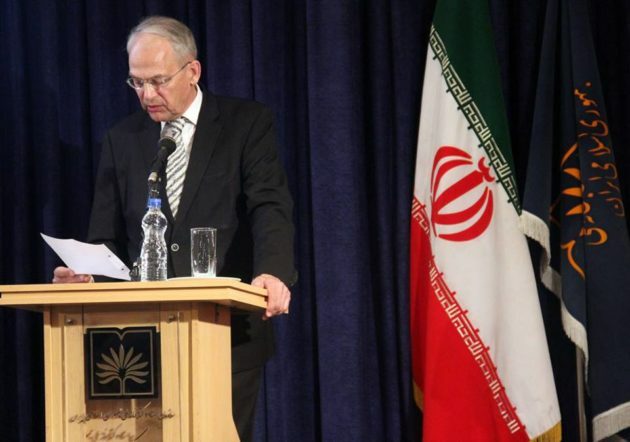 On Sunday 15 July, ICOM President Hans-Martin Hinz was in Shiraz, in Iran, together with the Excutive Board members of ICOM Iran and an Armenian delegation. They visited the Historical Monuments belonging to the Zandieh Period (Arg, Hammam, Jame Mosque and Bazaar), Mosque of Nasir-Al-Molk. The President had the occasion to express its enthusiasm being welcomed in Iran as he made a speech at Shiraz Documentation Centre and he opened exhibitions of two Museums in Shiraz, Meshkin-Faam and Press Museum. In the Siena Charter, the cultural landscape is proposed as “the country where we live, which surrounds us with the images and symbols that identify and characterize it.” According to this vision, the landscape is considered as the context – geographic, historical, economic, social and cultural – in which museums exist and operate. The International Council of Museums (ICOM) established International Museum Day in 1977 to increase public awareness of the role of museums in the development of society. This initiative has proven successful, according to ICOM President Hans-Martin Hinz: “Museum visitors should learn about the past and enjoy the diversity of cultures”. The event benefits from growing popularity, and in 2015, gathered more than 35,000 museums which organised celebrations in some 145 countries on five continents. For the second year ICOM has created an interactive map, allowing museums worldwide to update their activities planned for International Museum Day celebrations. This is a highly practical tool for museum visitors around the globe, as a quick and useful way to check which IMD activities are taking place in every part of the world. More than 1900 IMD activities worldwide are online on the interactive map, from Europe (including 1,422 activities in Germany, 129 in Switzerland and 70 in Spain) to Asia (India, Myanmar, Taiwan, Thailand), the Americas and Australia. Most museums around the world celebrate International Museum Day from May 18 through May 22, with celebrations planned around the globe this coming weekend.